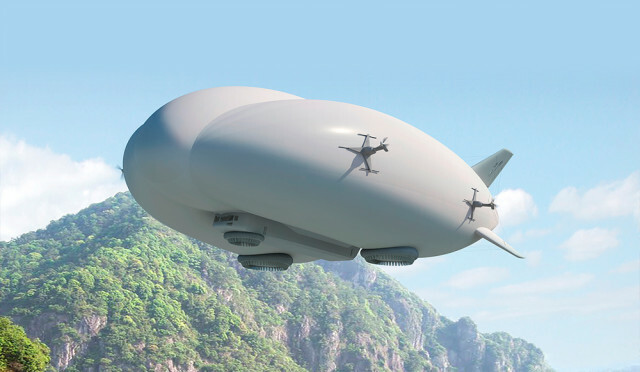 Hybrid Enterprises, the exclusive worldwide reseller of Lockheed Martin's Hybrid Airships, has announced a strategic partnership between PRL Logistics Inc. and UK-based Hybrid Airship owner and operator, Straightline Aviation. This partnership will introduce the world's first heavy-lift Hybrid Airship – the LMH-1. Developed and built by Lockheed Martin, the LMH-1 is designed to land on virtually any surface including snow, ice, gravel and even water. According to Hybrid Enterprises, these football-field-sized airships will provide low-cost and environmentally friendly solutions for moving freight and personnel to the most isolated regions of Alaska and Northern Canada. Hybrid airships combine the technology of lighter than air aircraft with airplanes, helicopters and hovercraft. Helium provides 80 percent of the lift, and the remaining lift comes from the aerodynamic shape of the aircraft and its four thrust vectoring engines. The airships also feature a hovercraft-like air cushion landing system that facilitates taxiing and holds the craft firmly on the ground. 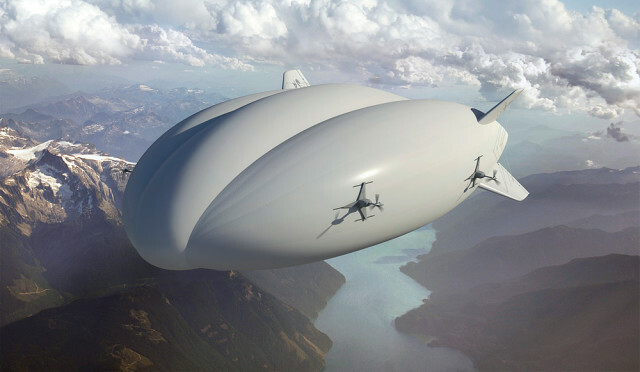 "Lockheed Martin would be proud to have its Hybrid Airships operating in Alaska," said Rob Weiss, executive vice president and general manager, Lockheed Martin Advanced Development Programs (Skunk Works). 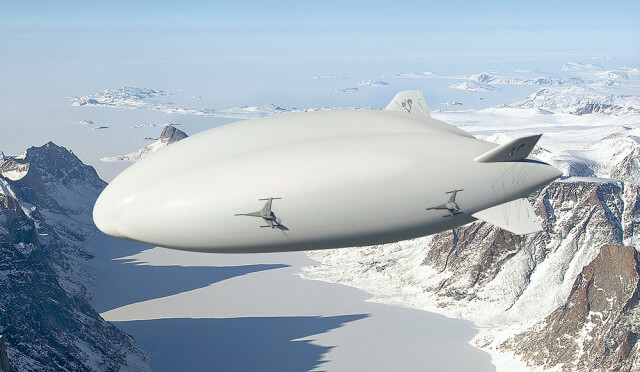 "Alaska is an ideal location for the Hybrid Airship to operate. The airship enables access to Alaska's most isolated regions, and is designed to protect the sensitive ecological environment." “I am pleased to hear this announcement,” commented Dan Sullivan, U.S. Senator from Alaska. “Alaska is a storehouse of immense natural resource wealth. This combination of technology and innovation will enable access to resources and provide needed benefits to our infrastructure. It is an example of a company operating to provide a transportation solution to meet Alaska's unique challenges." For more information, learn how Lockheed Martin developed the airplane/airship hybrid.